Plant Genome and Systems Biology (PGSB), formerly Munich Institute for Protein Sequences (MIPS) PlantsDB, is a database framework for the integration and analysis of plant genome data, developed and maintained for more than a decade now. Major components of that framework are genome databases and analysis resources focusing on individual (reference) genomes providing flexible and intuitive access to data. Another main focus is the integration of genomes from both model and crop plants to form a scaffold for comparative genomics, assisted by specialized tools such as the CrowsNest viewer to explore conserved gene order (synteny). 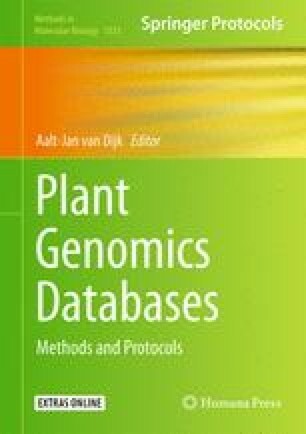 Data exchange and integrated search functionality with/over many plant genome databases is provided within the transPLANT project.